The US Court of Appeals for the US DC Circuit ruled in a 2-1 decision affirming the Obama Administration’s position that high-speed internet service must be defined as a utility, not a free market deregulated industry luxury. Broadband companies now cannot block, prioritize or slow the delivery of internet content to consumers. The Horror! … also, Hyperbole. This represents a historic victory over the immense lobbying prowess assembled by the embattled cable, telecom and wireless internet providers to thwart the FCC’s 2015 net neutrality rules. On the other end of M-Dimensional space were the public and silicon valley tech firms, which supported net neutrality (especially the latter). — Post-ruling statement by Tom Wheeler, chairman (D) of the Federal Communications Commission (FCC). — Written Opinion of the judges, David Tatel and Sri Srinivasan. The ruling is 184 pages. These judges believed that, from the perspective of the user, there is little to no difference between mobile and landline internet access, so there shouldn’t be a difference in the government’s ability to have oversight. 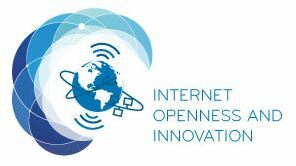 It also opens the door to regulating the ability of cable, mobile, and ISPs to collect and share data of broadband subscribers. There are also growing calls for the FCC to take advantage of “one of the most important decisions in the history of the internet” (to quote the Chicago Tribune) to go after zero-rating practices as well. However, AT&T, Verizon, and Comcast have vowed not to give up on their right to throttle service and pipeline consumers to their own content without another fight. Having lost the battle, they are pinning their hopes on appealing to the Supreme Court (and Congress) to win the war. 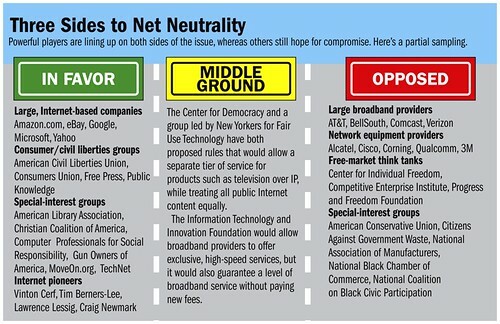 The decision and drive to implement net neutrality largely falls along party lines within the government, with the dissenting judge, Stephen Williams, and Ajit Pai (the Republican FCC Commissioner) stating that such “unreasoned patchwork” (from William’s dissension) of rules will hamper competition if not simply unlawful. In seeming protest of the ruling and the FCC’s victory, the Senate Commerce, Science, and Transportation Committee voted on Wednesday to approve a bill that would exempt small ISPs from providing their broadband customers with information on network performance and network management practices, regardless of any new FCC rules to the contrary. This matches a similar bill unanimously passed (411-0) in the US House of Representatives in March, 2016. President Obama could, of course, veto any combined legislation… (but with a margin like that… it might not be worth it). Public industry groups on the other hand largely hailed the decision. good internal thread and external blog post; good coverage of several forces in the M-dimensional space of this issue.